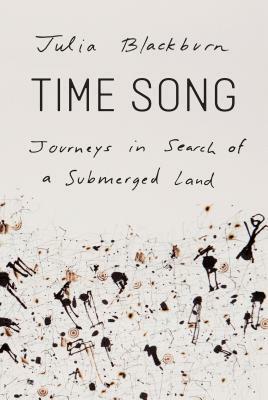 From the award-winning author of the memoir The Three of Us, a lyrical exploration--part travelogue and part history--of Doggerland, the area beneath the North Sea which, until 6,000 years ago, was home to a rich ecosystem and human settlement. Shortly after her husband's death, Julia Blackburn became fascinated with Doggerland, the stretch of land that once connected Great Britain to Europe but is now subsumed by the North Sea. She was driven to explore the lives of the people who lived there--studying its fossil record, as well as human artifacts that have been discovered near the area. Now, she brings her reader along on her journey across Great Britain and parts of Continental Europe, introducing us to the paleontologists, archaeologists, fishermen, and fellow Doggerland enthusiasts she meets along the way. As Doggerland begins to come into focus, what emerges is a profound meditation on time, a sense of infinity as going backwards, and an intimation of the immensity of everything that has already passed through its time on earth and disappeared. JULIA BLACKBURN is the author of eight books of nonfiction, including the memoir, The Three of Us; Old Man Goya, a National Book Critics Circle Award finalist; and With Billie, which won the ASCAP Deems Taylor Award. She is also the author of the novels The Book of Color and The Leper's Companions, both of which were short-listed for the Orange Prize. She lives in England.